Waterfowl hunting in Argentina is a profitable industry that attracts hunters from all over the world. Most hunting occurs as high-end hunting tourism, through which registered outfitters service predominantly foreign clients on private lands. Lead pollution from hunting ammunition is increasingly recognized as a significant local problem, impacting wildlife, aquatic and terrestrial habitats, and extending to vulnerable human rural communities. Regulatory frameworks that restrict lead shot use are a budding success story but remain challenged by their constrained geographic range and limited compliance rooted in unavailable nontoxic ammunition. Changes in hunting practices in Argentina are long overdue. This work was possible because of the drive and commitment of more people than can be named here. Special thanks are due to N. Kanstrup and W.G. Conway for inspiring us to take on this challenging problem; to C. Kreuder Johnson, T. Kelly, K. Gilardi, and J. Mazet for encouragement and assurance; and to W. Karesh, S. Alexander, H. Lee, D. McAloose, K. Conley, C. Rodrigues, P. Calle, B. Raphael, and W. Weisman for friendship and daily support, especially during the tough, early years. We thank J. Uhart for unrelenting praise and support and many translations; P. Beldoménico for research design and analytical support; and numerous volunteers and students for their dedicated help. We offer our thanks to our institutions for allowing and backing our engagement in this effort, particularly the Wildlife Conservation Society where M.U., H.F., M.R., and A.C. were based at the onset of this path. We applaud Santa Fe province for leading the change with conviction, and we commend F. Roberti for pioneering steel shot manufacture in Argentina. We are grateful to the Community-based Territory Conservation Program (CTCP) for their education and conservation actions to protect wetlands and biodiversity, essential for a better and sustainable future. We recognize collaborators L.T. Andersen, A. Saint Antonin, R. Biasatti, M. Parvellotti, P. Favre, and R. Banchs who offered trust and a platform for our work, and the many officers and stakeholders who give us hope that policy and practices will soon change. Kanstrup, N., and V.G. Thomas. 2019. Availability and prices of non-lead gunshot cartridges in the European retail market. In Lead in hunting ammunition: Persistent problems and solutions, eds. N. Kanstrup, V.G. Thomas, and A.D. Fox, Ambio vol. 48, Special Issue. https://doi.org/10.1007/s13280-019-01151-8. Natalini, M. B., R. Berisso, and A. Caselli. 2014. 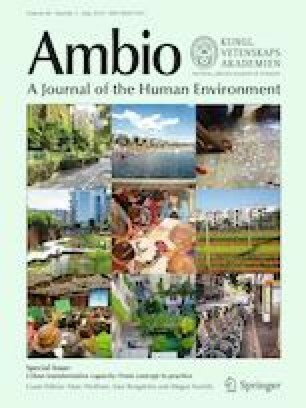 Bone strength in three species of wild ducks exposed to chronic lead pollution from hunting ammunition. Undergraduate thesis, Facultad de Ciencias Veterinarias, UNICEN. https://biblio.unicen.edu.ar//biblioteca/thesis/61094-1.pdf. Accessed Jan 2019 (in Spanish). Rago M.V., H. Ferreyra, T. Waller, M. Barros, J. Draque, P. Micucci, C.A. Gabrielle, G. Brandi, P.M. Beldoménico, and M. Uhart. 2012. Health assessment in Yellow Anacondas (Eunectes Notaeus): A fundamental component for the sustainable use of this emblematic species in Argentina. In X Congreso Internacional de Manejo de Fauna Silvestre en la Amazonía y América Latina; Salta, Argentina. Proceedings, 163–164. http://www.comfauna.org/wp-content/uploads/2012/07/Resumenes-del-XCIMFAUNA.pdf. Accessed Feb 2019 (in Spanish).